1.“Walt Disney World Maps Box”:Walt Disney World Maps Box is the bestselling iPhone application for Walt Disney World. Walt Disney World Maps Box contains full map about the Epcot, Magic system and remaining Disney theme parks which are located in the Orlando.Walt Disney World Maps Box clearly gives you a map of each and every Disney theme parks with perfect attractions and individual rides too.Walt Disney World Maps Box enables the users to prioritize the must-visit sites around the theme parks in the Walt Disney World. By using the GPS, Walt Disney World Maps Box shows you the exact places around the Theme park. 2. “Walt Disney World Park Hours”: Walt Disney World Park Hours comes especially for Magic Kingdom, Animal Kingdom, Epcot, Water Parks and Hollywood Studios. Walt Disney World Park Hours gives you the exact timing of opening and closing of the theme parks and also Walt Disney World Park Hours includes the daily updated events and schedules for the Shows that are exactly covered in this application. Walt Disney World Park Hours also gives you exact information about the year activities occurring in the above listed theme parks. 3. “Disney World Dining”: Disney World Dining is an impressive application which is developed especially for the Disney world users.Disney World Dining is a dining application which is developed by VersaEdge Software LLC and Disney World Dining includes all restaurants and its full menu with its price as well as its ratings.Disney World Dining allows the users to determine which restaurants to visit and which one to skip. You can also find the restaurant which is closer to you with the help of Disney World Dining application. Disney World Dining allows you to reserve your seating in any restaurants which are available in the list. 4. “Disney World Magic Guide”:Disney World Magic Guide is a bestselling application for the iPhone and Disney World Magic Guide is developed by VersaEdge Software Limited Corporation. Disney World Magic Guide is a comprehensive application which has practically everything which is needed for the Walt Disney Tour. Disney World Magic Guide has an information packages which has opening times of the theme park, Maps with GPS, ride descriptions and so more stuffs regarding the Walt Disney. 5. 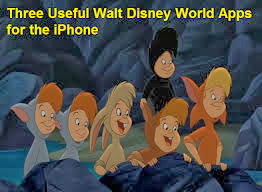 “Mouse Memo”: Mouse Memo is a must have iPhone application if you need to organize everything for your Walt Disney tour. Mouse Memo is developed by C.Y.borg’s Neura Net and is handier when compared to other applications. You can organize everything for your tour with the help ofMouse Memo. 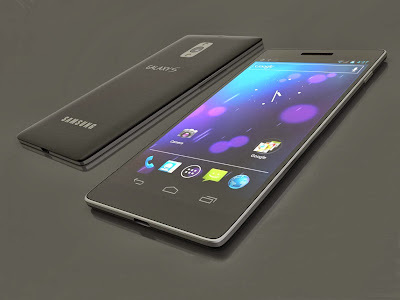 1.Samsung Galaxy S4: Samsung Galaxy S4 is a best choice when compared to iPhone 5. It brings out various features in Samsung Galaxy S4; Samsung Galaxy S4 suns on android operating system and it has a brilliant camera which enables you to shoot high clarity image with extra-ordinary flashing. Samsung Galaxy S4 comes with cool gesture control from which you can simplify your task very easily and Samsung Galaxy S4 also offers best way of multitasking for its user. 2.HTC One: HTC One is another best-in-class mobile which offers you tons of features in it. HTC One comes with android operating system and has curved aluminum outer case. HTC One has quad core processor that enhances your process with higher performance. You can run various high graphics application on your mobile without lag. The quad core processor in the HTC One brings you to run many applications in a single time itself. HTC One has a fantastic low light camera which makes you to snap images even in low light too. You can use this HTC One as a remote for your TV. 3.Motorola Droid Maxx: Motorola Droid Maxx is release by Motorola Corporation with Verizon Network. Motorola Droid Maxx comes with all the best features of the latest smartphones around the world. Even you can control your mobile without touching it. It comes with touch less control system which is called as Floating Touch display from which you can easily control Motorola Droid Maxx without touching the screen itself. Motorola Droid Maxx has long lasting battery which stands up to 10 hours approximately. Motorola Droid Maxx has active display too. 4.Samsung Galaxy Note 3: Samsung Galaxy Note 3 brings out the larger screen experience; you can use this device for viewing your media files very largely. Samsung Galaxy Note 3 has a sleeker design which makes the Samsung Galaxy Note 3prettier. Samsung Galaxy Note 3 has improved pen capability from which you can easily scribble over your screen. Samsung Galaxy Note 3 comes in the phablets family and you can even use this as a tablet too. Samsung Galaxy Note 3 has nearly 11 hours of battery life. 5.LG G2: LG G2 has a display of 5.2 inches screen from which you can innovate much stuff from the mobile itself. LG G2 a unique and fantastic design with unique power button as well as volume rocker design. LG G2 allows you to do wonderful multitasking which separates this smartphone from other smartphones. Hope you might like this stuff and your comments are always welcome !!! If there is a performance at the school at which you work, such as a play on the stage or a band concert in the main auditorium, odds are that it is going to be recorded. Parents are going to do this for themselves, but you should also set up an official camera on a tripod so that it is a steady, clear recording. The tripod can also have an unobstructed view of the performance, whereas the cameras that people in the audience are holding will often be blocked by other people. The biggest reason to do this is that parents are probably going to come to you after the performance and ask if they can get a copy. Some of them may not have wanted to record it on their own so that they could really watch their children and soak up every moment of it. Some of them may have recorded it but found later that the recording was a very low quality. 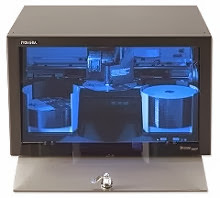 If you have a good recording, you can just duplicate the DVDs with the DVD burners that you can get from Summation Technology and then give out copies to the parents. They are going to love this because they do not have to worry about figuring out how to hook the video camera up to the TV or the computer. They can just pop the DVD in a DVD player and watch it in seconds. You may even be able to sell copies to offset production costs. 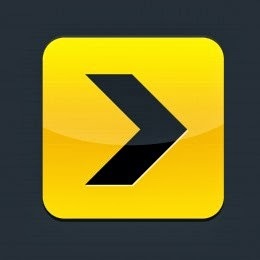 Top iPhone application for Finding Gas Station. 1.Fuel Finder: Fuel Finder is an impressive iPhone application which provides you a strong interface that brings you a list of best features. Fuel Finder helps you to get into a closest station which is located nearby you. You can get roadside help for you, when you’re low on fuel. Fuel Finder is found on the app market for only 2.99$ and Fuel Finder doesn’t require a subscription pack, so that you can use them for lots of information. 2.Smart Fuel: Smart Fuel gives you a best feature where you can get more detailed report of your fuel. Smart Fuel enables the users to bookmark their recent gas stations it also provides an accurate station listing. Smart Fuel comes with month of free train period and you can continue the subscription further by paying 4.99$ for 6 months or for 14.99$ for 24 months of time. The interface allows you to save your fuel and you can save more by subscribing to this application. 3.Road Ahead: Road Ahead is an app which brings out the necessary amenities which are available in the high ways; you can find the best objects which are present in your way. Road Ahead provides the list of gas stations which are available in the high ways and with its prices too. You can find out the best gas station over the various localities and you can scroll through the various localities station for best prices. Road Ahead is all-in-one application which offers you many services and you can get all information about your trip with this application itself. 4.Gas Buddy: Gas Buddy is a brilliant application which gives you all information about the gas station and its prices for totally free. If you were searching for an application which is totally free of cost for your road trip, the Gas Buddy could be a best one in the list. Gas Buddy has a list of features which is totally comes for free of cost. 5.Fuel Smart Pro: Fuel Smart Pro is a premium application which comes with list of comprehensive gas stations and with the accurate prices. The interface of the Fuel Smart Pro is very nice and the features of the Fuel Smart Pro are solid. Fuel Smart Pro makes your travel more simple and elegant; you can subscribe the application for 2.99$ per year. Since it is pro version, you can go for Fuel Smart Pro for better use. 1.This is the one of the best trick form which you can enter the text very quickly in your device. If you want to insert a text you can insert it very fast by simply holding the corresponding characters and a list of related accented characters will appear in a popup menu and you can choose them from the pop up list. Release the key when you have selected the correct accented character and you can easily enter the character in the text. 2.You can easily split the keyboard of your iPad keyboard and you can type faster in the keyboard with both of your device. If you want to split the keyboard simply press the keyboard icon which is present in the lower right side of the screen and choose split option. This allows you to split the keyboard in the iPad and you can type faster with this split keyboard. Suppose if this option is not available in the iPad, Go to Setting -> Keyboard and select the split keyboard option in the Ipad setting to enable the Split Keyboard. 3.You can easily insert a space in between two words and you can also insert a dot (.) after the end of the line by simply double tapping the space bar. If you were tapping the spacebar twice you can easily get the dot after the word and the next letter which is followed by the dot will be automatically starts with capital letter. 4.The keyboard of the iOS is pretty good and it is very smart in adding the apostrophes in the text you were entering over it. If you were entering the text without apostrophe, the keyboard will automatically enter the apostrophe in the text wherever it is necessary. For example, if you were entering the word “dont” in the keyboard, then it will automatically enter it in the keyboard as don’t. You can even long press the comma button to include the apostrophe in your text. 5.Safari web browser in the iPad and iPhone has a special feature which allows you to automatically insert the domains when you were entering a web address in the address bar. By simply pressing the dot button for a while you can easily get a list of domains which you can easily choose from that and you can quickly open the website in your browser. 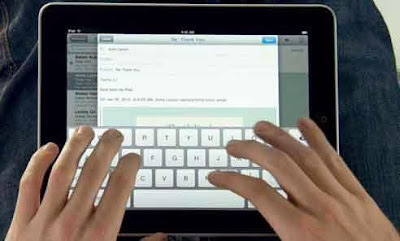 Hope so you have likes this list of tricks and shortcuts for your iPhone and iPad keyboard; this will help you to improve your typing speed and you can easily enter the text by using this keyboard shortcuts.